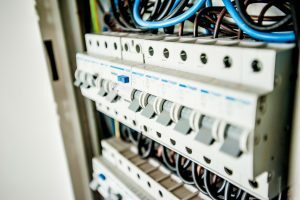 Choosing the right best electrical contractor is crucial if you want the job doing properly, especially if you are parting with your hard earned cash! 1) Know EXACTLY what you want doing. Before you ask for a quote, have a really good idea of what it is you are wanting to achieve. This way you can be sure you are getting quotes tailored to your needs, and there will be no miscommunication along the way. 2) Have a time frame in mind, and discuss this with whoever is giving you a quote. Can they meet it? Are they fully booked during when you would like the work completing? Can you be flexible with having your job completed? Knowing the electrical contractors work forecast will help. You don’t want to agree to something that can’t be started for another 12 months! 3) Research ratings. The brilliant thing about the internet is that almost everything is rated. Do your research and make sure you check all reviews available. Spending some time checking now will save a lot of time later on! 4) Check the contractors accreditation and insurance. Anyone working on your home needs public liability insurance. And it’s always a good sign if they are part of assessment bodies such as the NICEIC and CHAS. These companies ensure that anyone who is part of them are working correctly and efficiently. You can ask your contractor to provide proof of their insurance and accreditation’s at any point. 5) Know your budget! The majority of us will have been in a situation where we think we have budgeted enough for something, but the reality ends up being an awful lot more! Work out exactly what you can afford and what you will go no higher than. This will help your contractor know how to quote the job in the most affordable way and prevent any time wasting in getting started. Get broken down quotes from different contractors to compare, remembering that the cheapest isn’t always the best. Be thorough in your checking. Doing the groundwork now will save you a lot of hassle in the long run.